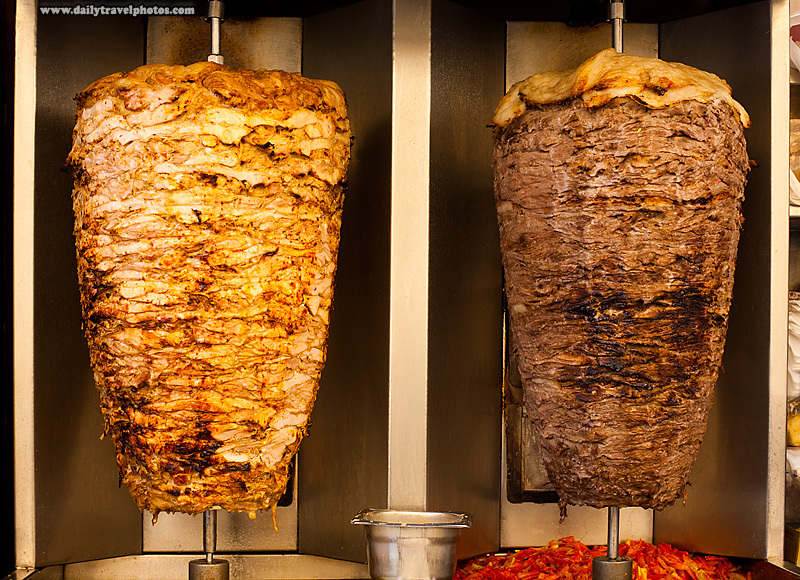 Chicken and lamb shawerma meats rotate on a skewer. To all sexually frustrated viewers that were misled by the title of this image, I apologize. This photo is about Egyptian fast food and nothing more. 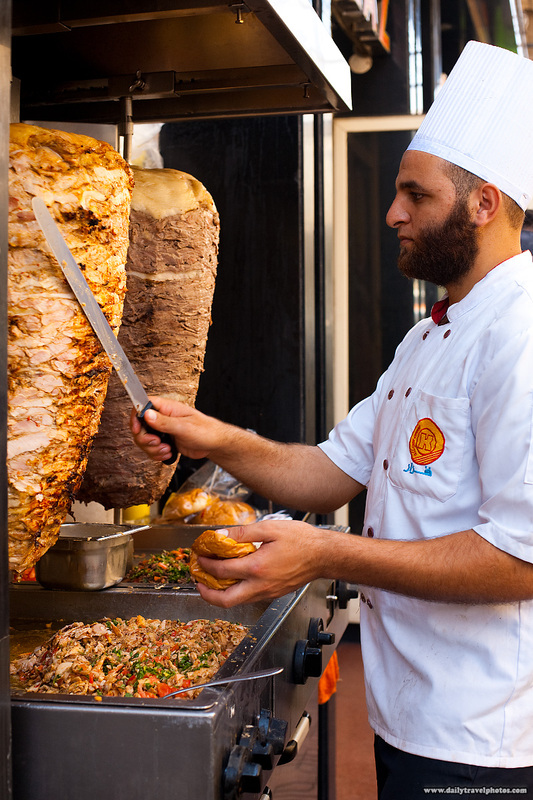 Every couple of blocks in Cairo, you'll encounter a sweating piece of skewered meat like the chicken and lamb above. Using a long knife, slices of meat are shaved from the cooked outer surface and left to soak in a puddle of its own murky juices below. When combined with bread, you have yourself a delicious $1 meal. Slices of chicken are shaved into shawerma sandwich bread. I've always had a dream to pay a kebab restaurant owner some money to allow me unfettered access to a rotating lump of chicken meat. Over the course of a few days, I'd slowly gnaw away until the shiny spit inside is fully revealed. Life goal #248 would be complete.